Website traffic expert Shaqir Hussyin, founder of WealthAcademy.com and one of the highest paid experts in the home business industry, reports the latest on 5 strategic principles & secrets to online business success most will never know. After being in the industry and observing what is working right now in the marketplace, and helping thousands of hungry entrepreneurs get started online with systems and Hussyin says these are the common pitfalls to avoid. 1. Find, research and get the right mentor. 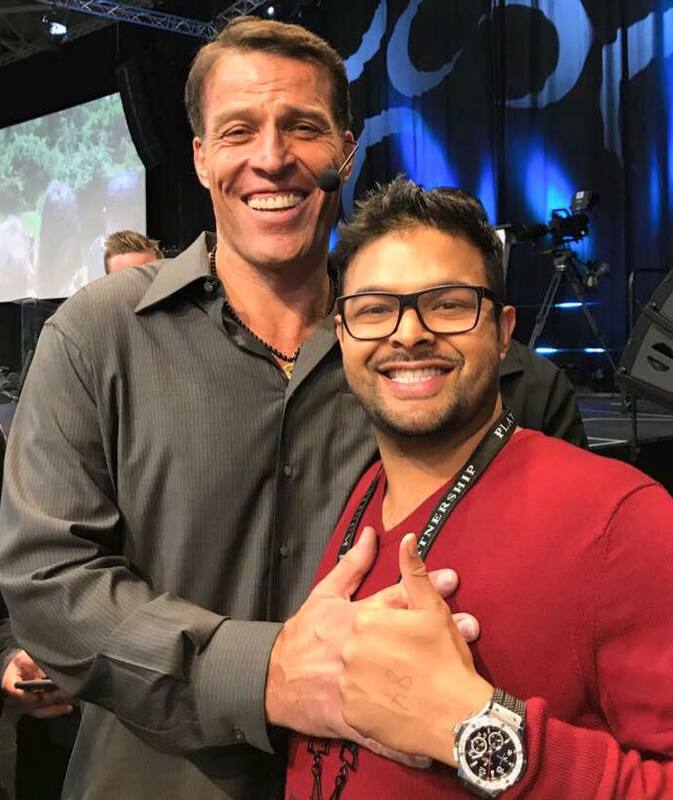 There’s 2 ways to succeed in Internet Marketing as Shaqir teaches in his WealthAcademy Live Events, especially his Traffic Millionaires Summit it’s either via mistakes or mentors. Just like learning how to drive a car, a driving instructor is needed to ensure the student is on the right track. It’s the same for starting, running and growing a profitable online business. 2. Create or leverage the right modern marketing system. Most people are left in the dark ages with low converting websites, funnels that don’t convert, and subscribers that simply just don’t buy. Creating a marketing system where there is a high converting option-page, a high converting sales page, an effective follow-up, and a system that utilizes webinars, automated marketing systems, direct mail and live events is something that every entrepreneur should have in their marketing arsenal. Not having a system is essentially guesswork and the reason so many fail in this industry. The acronym S.Y.S.T.E.M stands for “saving yourself time, energy, and money,” states Hussyin, also a specialist in helping new online marketers leverage proven systems and done-for-you sales funnels to integrate the 5 keys mentioned to get results faster. By leveraging a proven system helps people discover a faster track to success, and the quickest way to profits by avoiding spending extra time, energy and effort in the wrong areas. 3. Join the right community, support network and mastermind. When people are getting started online, and they realise it’s real and possible to grow a profitable internet business to earn passive income and build an automated online business, their excitement often leads them to tell others about it. Unfortunately, others do not always support or believe in them. They don’t believe it’s even possible. A community, support network or a closed-group mastermind is the glue that provides support and empowers those that are part of the family. Their role is to support and embrace the journey of an entrepreneur. Shaqir Hussyin has launched his new mastermind “Shaqir Hussyin’s Inner Circle” for 2018 to assist new and experienced marketers to get an edge to succeed online. 4. Leverage time, resources, systems, and people. Time is the only constraint in life, the only thing no one else can buy more of, so learning and mastering leverage is what will help people find a shortcut to their end goals. When anyone asks Hussyin how he built 10 different 7 figure businesses at the age of only 29, he replies with “I’ve mastered internet marketing leverage, and now I’m on a mission to help create 100 people to become 7 figure earners”. Shaqir has taken “Leverage” to another level by team members and new clients with ‘done for you’ turnkey websites and ready-made ‘plug & play’ traffic sources to help members succeed faster, he’s premium level done for you sales funnels. GURU Funnels has created a new benchmark for people wanting to attract clients online the new way instead of chasing clients. 5. Buying website traffic is one of the most profitable things an entrepreneur can do to grow their online business fast. First, it’s important to develop or leverage a high converting sales funnel to maximise the paid traffic. It’s vital to have a high converting sales machine that helps and guides anyone to build an income fast by leveraging a powerful community, proven mentor, with a time tested system with in-demand products that do all the selling. By starting with a strong optimised sales funnel new members do not have to learn how to sell personally and go through a long learning curve. This enables new marketers to hit the ground running and therefore increase their self belief that this internet marketing stuff truly works. By understanding that the concept of “Paid Traffic” is essential to one’s success they can skip years of frustration and learning free methods of traffic that don’t even always work and are not scalable. When someone can buy traffic and convert it profitably, that is when they have a solid and profitable online business. The most important concept in scaling a business is being able to identify how much a business owner is prepared to spend to acquire each new client. The two critical components of online success consist of getting targeted traffic and high converting sales funnels. Hussyin’s team and clients benefit from his expertise in getting traffic, and from his SoloAdsAgency.com which supplies premium ‘done for you’ lead generation to the home business industry. “Reliable, predictable, consistent systems that affordably and efficiently provide abundant quantities of quality prospects, customers and clients” - Dan Kennedy states the keyword here is: Systems. Shaqir Hussyin challenges his readers to ask themselves what kind of systems they are currently using to start, grow & leverage their online business. Hussyin’s Team at WealthAcademy is easy to reach out to his clients as he believes in transparency, honesty and integrity is one of the world’s most trusted advisors when it comes to running online home businesses, encourages serious entrepreneurs to register on his daily newsletter and join over 553,000+ members.